Bulldog Locksmith is the premier locksmith in the grand prairie area. We offer any service you may need at affordable prices. Our technicians are friendly and professional. Our company is also licensed, bonded, and insured. Whatever locksmith need you may have, our team can handle it. We offer a wide range of services. These include automotive, commercial, residential, and emergency locksmith services. So if you are locked outside of your place of business, or have lost all the keys to your car, give us a call today! If you are looking for a legitimate locksmith company, then look no further. Our company is properly licensed, bonded and insured to operate within the state of texas and the grand prairie area. All of our technicians are licensed locksmith professionals that you can rely on. All of our locksmith services are available in the Grand Prairie area. We offer services for any locksmith issue you can imagine. This includes all types of car, commercial, residential, and emergency locksmith services. Whatever issue you may have, Bulldog locksmith can help you with it. Don’t hesitate to give us a call if you need new car keys or wish to replace your locks. At Bulldog Locksmith we are proud to offer the cheapest locksmith services in the area. In addition to being among the most affordable locksmiths, we are also among the most reliable. Our technicians give accurate pricing and estimated times of arrival. As a business we value our time as well as the time of our customers. We have the best car locksmith services in the grand prairie area. We offer a wide range of car locksmith services. Whatever issue you may have, our team can help you out. We service any issue from lost car keys, to damaged car ignitions. .Unlike many other locksmith services in the area, we cover most makes and models of cars. We service USA car brands, japanese car brands, korean car brands, german car brands, and much more. 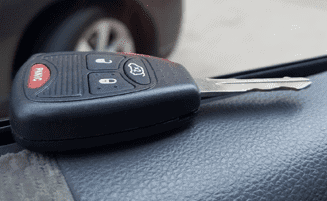 If you have a car locksmith problem such as lost keys or a broken ignition, give us a call! Call us today rather than a dealership for your car locksmith needs! Bulldog locksmith comes to your location! If you lost your car keys it most likely means you can’t drive that vehicle. Taking the car to a dealership would mean having to pay for towing. Do not pay a high price for towing. Do not pay a higher price for service. Call Bulldog locksmith instead! Most cars made today come stock with chipped keys. This is an anti-theft security measure. If your car key needs programming then bulldog locksmith will be able to program that key for you! Imagine you get to your car and stick your key in the ignition. You try to turn the ignition over but nothing is working. Do not stress. Call Bulldog Locksmith right away. We will come repair your ignition. Our car locksmith services in grand prairie even cover Push to Start Vehicles. Losing your Push to Start Remote can be frustrating. Having it stop working is also not a pleasant experience. If you are stuck in this situation call us today and we will help you out! If you have lost all your car keys do not worry. You won’t be left stranded in grand prairie for much longer after calling us. 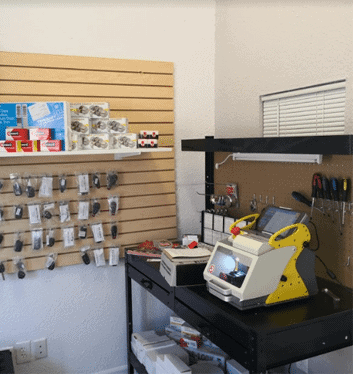 We have technicians come on site who can cut and program car keys for you on site! With some car types and ignition conditions it is better to replace the ignitions. If your ignition is beyond repair and needs to be replaced then look no further. Bulldog Locksmith can come to your rescue today! Having an Extra set of keys is always better. This way if you lose one set of keys you are not left totally abandoned. It is also always cheaper to duplicate keys than it is to make a brand new set. If you want an extra set of car keys call us today! 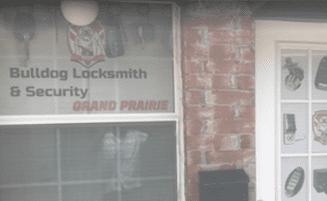 If you need a residential locksmith in Grand Prairie then look no further! We offer a wide range of house locksmith services. Whatever issue you may have, we can help you with it. If you are new to the area many of our services would benefit you. If you just moved here you may wish to get your keys changed. This would ensure that no one who previously had keys to your home would still have access. Locks can rust with weather over time. If you find that your locks are not working well then give us a call. We may be able to replace the internal components of your lock. For example your latch might not turn properly. If this is the case we can find the latch that matches your lock and replace it for you. If you have trouble turning your key you may wish to use this service. It would save you a lot of trouble over time. Keys can bend over time if you are not able to smoothly turn them in the lock. After enough bending you can break the key inside the lock. Call Bulldog Locksmith in grand prairie before this happens to you! If you are worried about who has access to your home then this is the service for you. Instead of changing all of your locks we simply change the key that works for your lock. Call our dispatcher and book an appointment today! It is possible for you locks to be so old that there is simply no hope of repair. If this is the case call Bulldog Locksmith today! Our professional technicians can recommend the best lock types at the best price point to offer you the security you need. Safe’s today have three common locking mechanisms; Dial turns, Electronic Keypads, and Keys. If you have locked yourself out of a safe you may wish to contact us. We will be able to open your safe without damage to the goods inside of it. If your locks are not working as they should it may be possible to repair them. Locks have many internal pieces. If any one of those components break the lock may stop working. Contact us today and let us get your locks back to working condition. Does your door only have space for a doorknob but not a deadbolt? Unfortunately, this is the case with many garage doors. This situation exposes security risks. 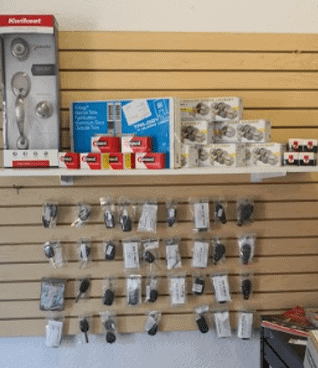 Call today and ask about our fresh lock installation services. A safe would not be useful if someone could take it out of your house and walk away with it. That is why it is important to properly install your safe. If you are not sure on how to do that then contact us today. Rest easy knowing your valuables are safe. Our team of technicians are experts in the commercial locksmith field. We service all commercial locksmith needs. No job is too big or too small for our team. We service all types of door and lock mechanisms. This includes commercial glass doors, steel doors, and emergency exits. We also service door closers, mortise locks, rim cylinders, and push bars. There are many reasons to hire a business locksmith. If you have just let an employee go you may be worried about who has access to your workplace. 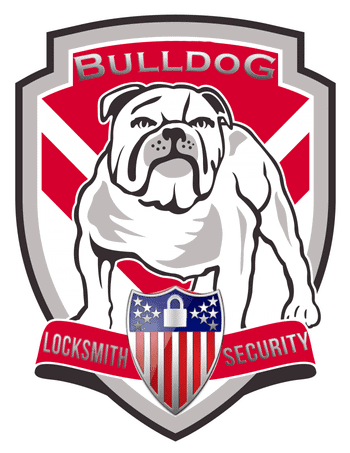 Call Bulldog Locksmith today and we can help you with our commercial rekey services. In addition to our traditional rekey services we also offer master rekey services. This is a useful service if you have many units. We can rekey your locks so that you have one master key which works for each unit. Meanwhile, each individual tenant would still have a different key. This would save you time and stress. You would no longer need to carry multiple sets of keys everywhere you go. You would also be saved from having to find the right key to open the right door. Many businesses today have started using IC core locks. These cylinders offer additional security by being harder to pick. They also offer the ability to replace the cylinder using a control key. Call us today and ask about our IC core lock services. Chances are you have a door designated as an emergency exit. In addition to having a properly functioning push bar, it should also have an alarm. Book an appointment today and find out how we can help get your building up to code. A fresh installation is putting a place for a lock where there wasn’t one before. We can perform this on a commercial glass door and put a place to install a mortise mechanism. Another type of fresh installation would be installing a kind of push bar. Push bars come in two main types, horizontal and vertical. We offer installation and repair services on all kinds of push bars. 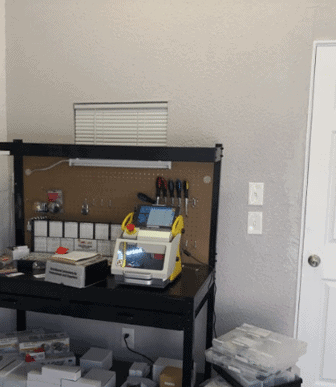 This also includes a fresh installation on a door where a push bar is necessary to get your building up to code. If you are worried about who has access to your place of business, then this is the service for you. We come in and change the key that works with your current lock. It is an especially useful service if you have recently lost a key or let an employee go. Key cards are the way of the future. We can help you out by installing state of the art access control systems. These are easier to manage than keys. They also give you the ability to track which employees come in and out of the building at what times. 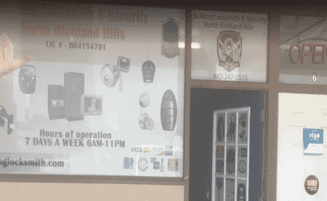 Our technicians at Bulldog locksmith have years of experience. Our team is trained to help you in all kinds of emergency situations. If you need an emergency locksmith in Grand Prairie then look no further. 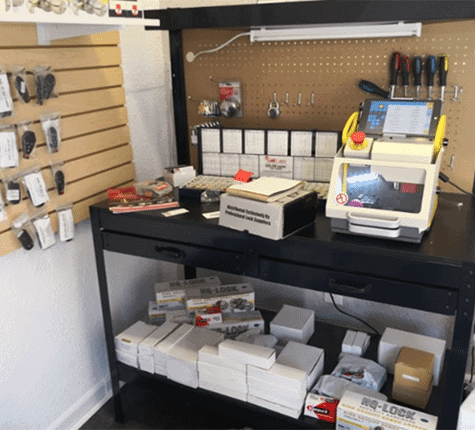 Bulldog Locksmith is the company you should call! There are many reasons why one would need an emergency locksmith. You may be locked outside of your car, house, or workplace. Be aware of other scam companies that do not attempt to pick your lock. It is true that some locks can not be picked. However, most locks can be picked. 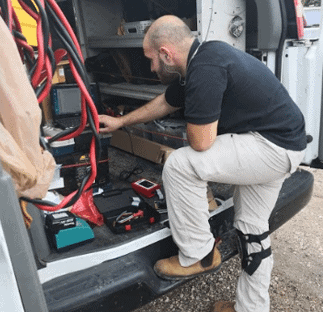 Our technicians will come on site and determine the cheapest possible way to get inside of your home, business, or car. If the lock can be picked, will will do that. We are not like the other companies that will take advantage of you by drilling your lock and charging you to replace it. If you are locked out of your car we only use special tools not to damage your vehicle. 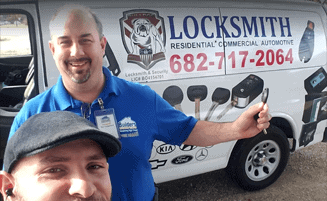 If you locked your keys inside the car Bulldog locksmith will come to the rescue. With rapid response times and affordable prices there is no reason to call any other company. Give our dispatcher a call and the technician will offer reliable prices and ETAs over the phone. The most common way people get locked outside their homes is by leaving their keys inside and locking a doorknob. Sometimes people also lose their house keys. Regardless of the situation give us a call and we will help you get back inside your home. It is incredibly frustrating to be locked outside of your workplace. This is especially true if it is causing you to lose money. Call bulldog locksmith today. We offer fast arrival times and accurate ETAs to help you get on with your day. It is common for people to accidentally lock their keys inside of their trunk. If your vehicle has a latch or a back seat that opens to the trunk then a simple car lockout service will suffice. However, you may need a metal key to be made so that your trunk can be unlocked. Our emergency locksmith services are there to help all people in their time of need. That is why we also have RV and trailer lockout services available in the grand prairie area. Call us today and let us help you get back on the road! Many people today opt for smart locks over traditional locks. These tend to offer more security but they can fail or run out of battery. If this happens you may be left locked outside of your home. Contact us today and let us help you in this situation.